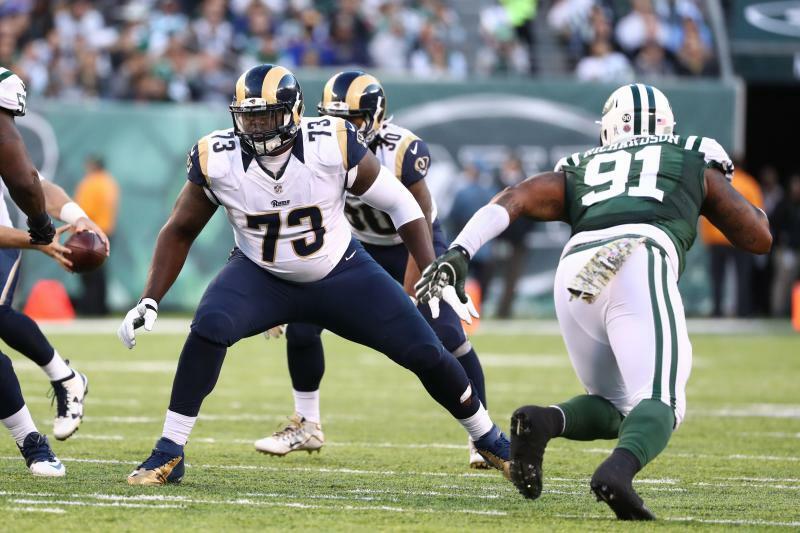 The Rams have traded offensive tackle and former #2 overall pick Greg Robinson to Detroit. In exchange, LA received a 2018 sixth-round selection. Robinson, 24, has played in 44 career games with the Rams, starting 40 of them. The team tried moving him to guard and right tackle before eventually deciding to trade him to Detroit with one year left on his rookie contract. Robinson tenure with the Rams was characterized by penalties and protection issues that plagued him as an overmatched left tackle. After new coach Sean McVay moved Robinson to the right side and evaluated him through off-season workouts and mini-camps, the Rams finally made a move. There are only two players remaining on the Rams roster from the eight players they acquired through the 2012 trade that enabled the Redskins to acquire Robert Griffin III. There are Linebacker Alec Ogletree and defensive tackle Michael Brockers. Jamon Brown supplanted Robinson on the right side of the line during mini-camp. Robinson is scheduled to earn about $6.7 million this season in salary and bonuses. He originally signed a four-year, $21.3-million contract, including a $13.8-million signing bonus. Mini-camp ended on Wednesday. McVay said he decided to cancel the final day of mini-camp to reward players for their work during the off-season program. Rookies report for training camp at UC Irvine on July 26. The first workout is July 29. The Rams also waived quarterback Dylan Thompson. This entry was posted in Rams on June 15, 2017 by omzzzzz. 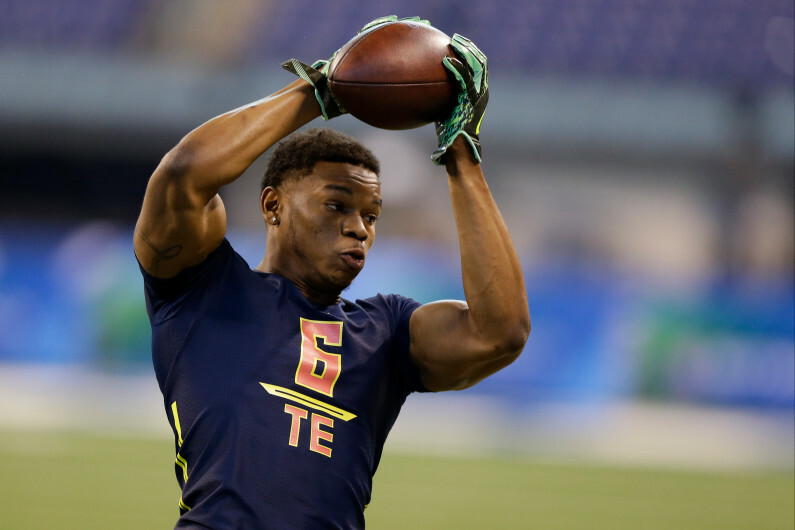 The Rams added 4 offensive players and 4 defensive players over the weekend in the NFL draft, focusing much of their needs at wide receiver and adding more offensive weapons. LA started by taking South Alabama tight end Gerald Everett, receiver Cooper Kupp from Eastern Washington, and safety John Johnson in the 2nd and 3rd rounds. In the 4th round, the Rams selected Texas A&M receiver Josh Reynolds and Eastern Washington linebacker Sampson Ebukam. In the 6th round, it was Tulane defensive lineman Tanzel Smart and Virginia Tech running back Sam Rogers. Finally in the 7th round they selected Pittsburgh linebacker Ejuan Price. “We feel like we were able to address a lot of those needs, but we also didn’t overreach for any,” Head coach Sean McVay said. “It seemed like a lot of those guys that we had valued, we were able to get at the spot that we wanted. The Rams also began signing undrafted players shortly after their 8 selections. UCLA defensive back Ishmael Adams and USC running back Justin Davis were among 11 undrafted players who agreed to terms for free-agent contracts with the Rams. Ironically though, the Rams did not select an offensive lineman in this years draft, a position they struggled with quite a bit last year. It was the 2nd year in a row they did not draft anyone on the offensive line. The Rams will hold a rookie camp starting May 11. This entry was posted in Rams on May 1, 2017 by omzzzzz. 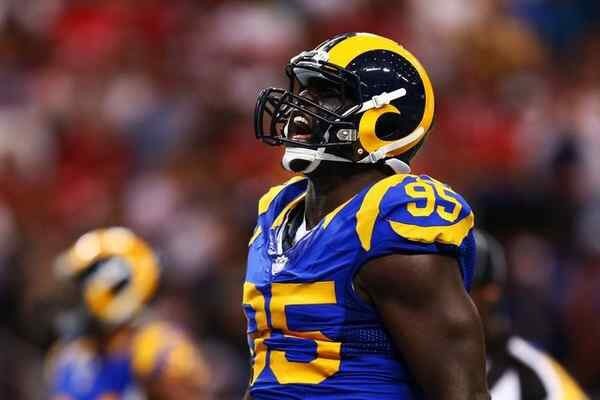 The Rams parted ways with four players on Friday, headlined by trading defensive end William Hayes to the Dolphins. Hayes goes to Miami along with a 2017 7th round pick. In return the Rams get a 2017 6th round pick. In addition to moving Hayes, the Rams released defensive end Eugene Sims, tight end Lance Kendricks and center Tim Barnes. After signing Robert Woods and Andrew Whitworth on Thursday, and saying goodbye to four players today, the Rams have $17 million left in salary cap space. Hayes is 31 years old, and coming off a season in which he had 5 sacks. He was due $ 5.5 million in 2017. He’s played 10 years in the NFL. Sims is 30 years old, and has played 7 seasons with the Rams. He had 2.5 sacks last season, and would have been owed $ 3.25 million this coming season. Kendricks is 29, and played 6 seasons with the Rams. He had 50 catches for 499 yards and two touchdowns last season. He was going to make $4.25 million. Barnes is 28, and is a 5- year veteran. He started every game in 2015 and 2016, and was due to earn $3.35 million if he hit all his incentives. This entry was posted in Rams on March 10, 2017 by omzzzzz. The Rams started free agency with a bang on Thursday afternoon. 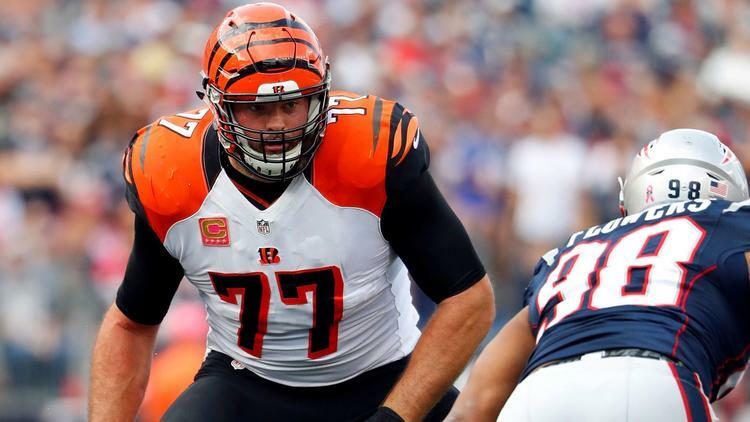 LA agreed to contracts with veteran left tackle Andrew Whitworth and receiver Robert Woods, addressing two major needs. The Rams had the worst offense in the NFL the last two seasons, and needed major help on the offensive line, and at wide receiver. Woods, 24, will sign a five-year deal worth up to $39 million, if he reaches all incentives. Whitworth, 35, is expected to sign a three-year deal that could be worth up to $36 million. It’s a homecoming for Woods. He played at Gardena Serra High and at USC before he was selected in the second round of the 2013 draft by the Buffalo Bills. He caught 51 passes for 613 yards and one touchdown in 13 games. As for Whitworth, he’s spent his entire 11 year career with the Bengals. He’s played left tackle, left guard, and started in164 games. The Whitworth signing could move Greg Robinson from left tackle to guard. Jared Goff was sacked 26 times in only 7 games last season. This entry was posted in Rams on March 9, 2017 by omzzzzz. 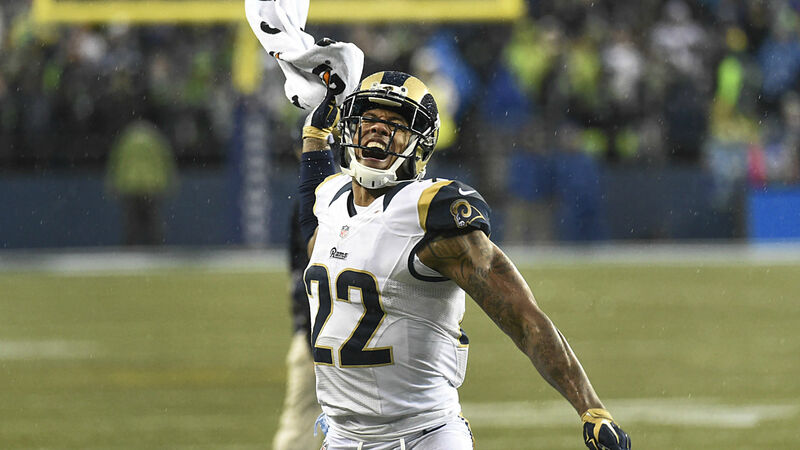 The Rams have placed the franchise tag on cornerback Trumaine Johnson. It’s the 2nd year in a row that Johnson was placed under the franchise tag, which likely means Johnson will be spending at least one more season with the Rams. After making $14 million last year, he will earn nearly $17 million under a $167-million salary cap set by the NFL. The Rams can still work out a long-term deal with Johnson. However, If Johnson signs with another team, the Rams would receive two No. 1 draft picks as compensation. Johnson had a career-high 7 interceptions last season. He is an important part of defense that ranked 9th in the NFL last season, and was one of the few bright spots in an otherwise dismal season. Johnson was one of seven NFL players who were tagged this week in the run-up to Wednesday’s deadline. This entry was posted in Rams on March 1, 2017 by omzzzzz. omzzzzz on Missing Person Alert!!!! Eugene on Missing Person Alert!!! !